Eilean Donan castle lies on a tiny island in the middle of loch (lake) Linnhe on the West coast of Scotland just south of Ben Newis . Although the island of Eilean Donan has been a fortified site for at least 800 years, the present building largely dates from the early 20th century. 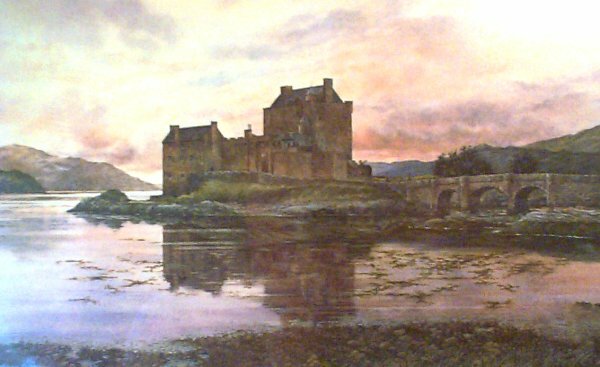 The Eilan Donan (island of Donan) was established in 6th-7th century. The castle was re-built between 1912 and 1932 by Lieutenant Colonel John MacRae-Gilstrap.